Mare returns for 2016 recently published by Weatherbys reveal that in his 15th year of covering, Galileo, the 18-year-old son of Sadler's Wells covered 158 mares, 90 of whom (57 per cent) were black-type winners and 73 of whom (46 per cent) were Group winners. At least 33 members of the book scored at the highest level, among them celebrities such as Goldikova, Midday, Royal Delta and Six Perfections. Another 35 mares who visited Galileo this year are already dams of Group or Grade 1 winners, while three - Ouija Board, Rumplestiltskin and Safari Queen - comprise an exclusive company of mares who won at the top level themselves and have produced offspring who have done the same. According to Weatherbys figures, Galileo covered 23 fewer mares than last year, although the proportion of black-type winners in his book grew by six points to 57 per cent this year and the ratio of Group winners increased by seven points to 46 per cent. 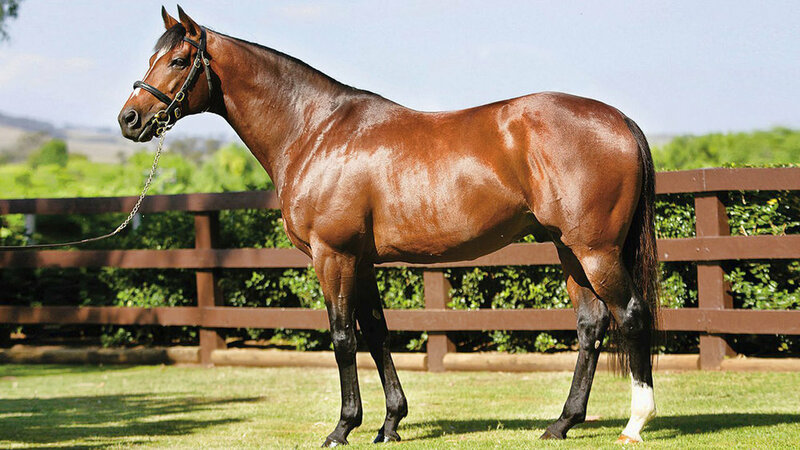 The small reduction in Galileo's book has brought the size in line with Dubawi's - the Darley sire of Summerhill resident stallion, Willow Magic, who covered just one more mare at 159 this year - making comparison between two of the strongest magnets for Europe's elite racemares and producers easy to do. Dubawi covered ten more mares who registered wins in their careers, and five more mares who registered black-type wins. But Galileo had the edge on Group winners, having covered five more, and on producers of Group 1 winners, with 38 in total - many of whom have already clicked with the Coolmore great to produce Classic winners and champions - a long way in advance of Dubawi's tally of 20. Another notable mare who visited Galileo this year was Dixieland Kiss, who receives an upgrade in mating - in terms of covering fee, at least - after producing Besharah with her first foal. She went to Casamento, Epaulette and Slade Power in the last three seasons. She was joined by the likes of Matron Stakes first-past-the-post Duntle; Keenes Royale, the dam of Ivawood; US Grade 2 winner Lady Shakespeare; dual 1,000 Guineas runner-up Lightning Thunder; Moonstone, the dam of four stakes winners including US Army Ranger; and Oaks runner-up Remember When, the dam of Group winners Beacon Rock and Wedding Vow. As per usual, one or two National Hunt mares owned by close associates of Coolmore had the honour of being covered by the perennial champion Flat sire. This year Hi Native, a daughter of Be My Native who is the dam of Ryanair Gold Cup winner Gilgamboa, and Rainbow Star, an unraced daughter of Flemensfirth and Grade 2-winning hurdler Bilboa, were among their number. Galileo looks almost certain to be crowned champion sire again this year. His progeny have earned in excess of £8.5 million in Europe in 2016, nearly £5m more than progeny of second-placed Sea The Stars, a half-brother to Galileo.